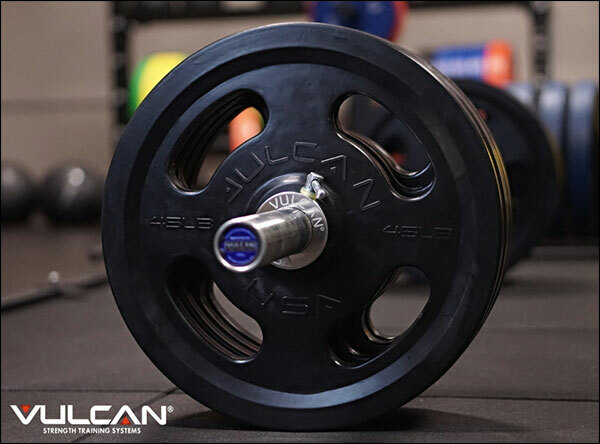 Vulcan recently introduced a new weightlifting belt that should be very enticing to lifters who prefer softer, more pliable belts. 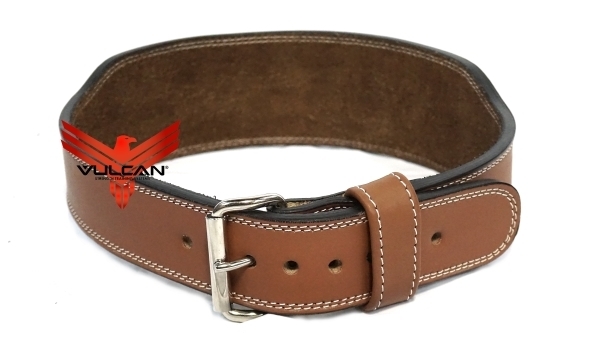 The Vulcan Weightlifting Belt remains 100% genuine leather, but instead of being 10 mm in thickness, it’s 8 mm thick. This minor reduction in thickness makes a quite noticeable difference when it comes to both stiffness, and overall comfort. It’s still more than thick enough to be supportive, but there is less pinching and practically no break-in time. Vulcan’s Weightlifting Belt is single prong with chrome-plated, brass hardware. As I just mentioned, it is 100% leather. It consists of a leather suede inner layer for better tactile grip against fabrics, a soft calf skin middle layer, and a natural, burnished leather outer layer. The whole belt is double-stitched, and it has the standard black edging that protects against moisture and gives the belt a more refined, finished look. Spider Chalk was kind enough to send me a sample of their chalk to try out so I wanted to say a few words about it. Spider Chalk Block Chalk is pure, lab-grade magnesium carbonate. It contains no fillers, binders, or drying agents, so it doesn’t turn to slime when it gets sweaty. It’s also nearly three times as dense as standard block chalk by weight which means it will last much longer. Finally, it’s much less brittle, so there is far less waste (and mess.) Spider Chalk is also the only block chalk made in the USA. There is no denying the fact that Spider Chalk really will last longer than generic chalk. I would also agree that it is marginally better in terms of performance, and the lack of dust storm created by Spider Chalk is certainly nice too. I did however find that the lack of brittleness that makes for less waste and less mess works against you when you actually want the chalk to come off the block. You may chalk up less frequently with Spider Chalk, but each application takes twice as long. Speaking of chalk that lasts a long time, now it can last even longer. As you can see, it’s a bucket topper! The image pretty much explains it all. 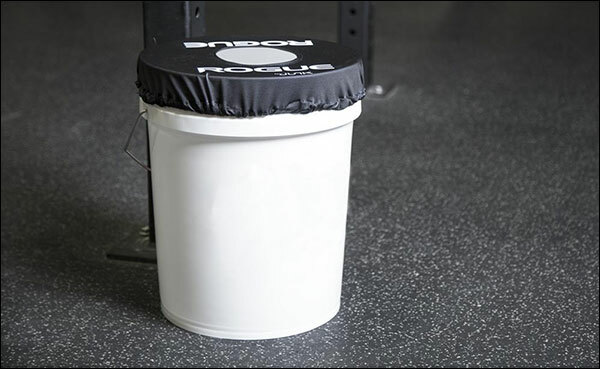 It does beg the question “how long does it take before the Chalk Topper saves you from wasting $16 worth of chalk?” Probably not anytime soon unless you are using these in a CrossFit box or training center. Then again if it’s your gym and you’re the one who has to sweep and vacuum all the time, it’ll probably be worth every penny. I dare say just about everyone has used some version of the HG/Lockjaw Collars at one time or another. It’s a popular collar that not only works, but has proven to be very reliable and hassle-free. HG Collars never seem to lose their ability to clamp tight on the bar, and they don’t tend to break. They certainly didn’t need fixing , but they’ve been updated nonetheless. 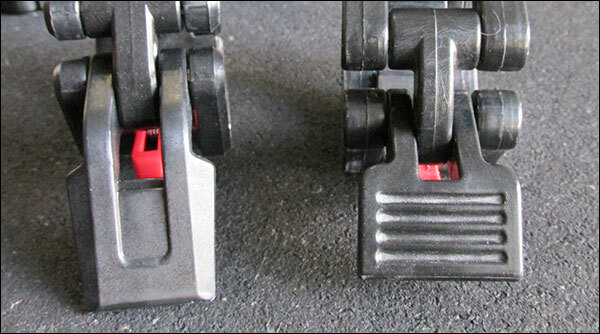 While functionally the same as the original HG Collars, a couple things have changed on the 2.0s. For starters, the rubber padding inside the collar is now thicker and far more pronounced. This makes for an even tighter hold on the bar than before. This increase in grip necessitated some changes to the release mechanism in order ease removal of the collar. 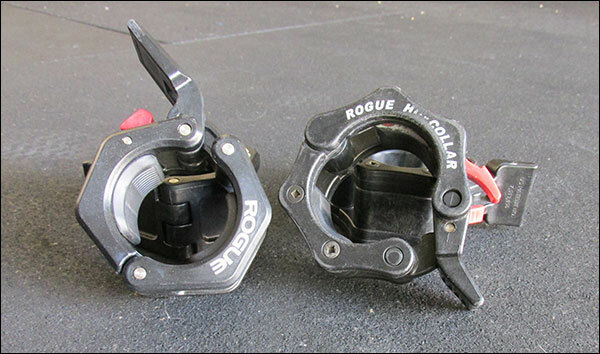 What Rogue did was increase the length of the release handle as a way to improve leverage. They also increased the size of the red release tab and made it spring loaded. When all is said and done the new HG 2.0 Collars are better than the originals, but you don’t need to run out and replace your old HGs so long as they are still holding firmly on the sleeves. I picked up a pair just because that’s what I do, but after checking them out and using them a couple times I decided to put them away and get all the use that I can out of my originals. If and when those break, I’ll bust out the 2.0s. 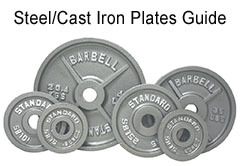 I recently picked up a few pairs of Vulcan Quad Grip Plates to check out and I gotta tell you, I really like them. Between the slim profile and the handles they are easy to pick up, move around, and load on the bar. Not only do I grab them before bumpers when doing any lift in the rack, I use them religiously with the SuperQuake; only after I’ve used all of my Quad Grips do I start grabbing kettlebells. I prefer the plates because they are easy to hang, I can hang more of them, and they don’t clang and bang like the kettlebells do. 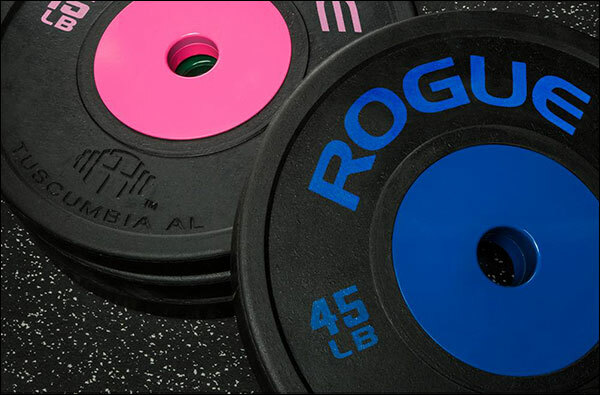 Rubber-coated plates are awesome, but sadly they will not replace bumpers. 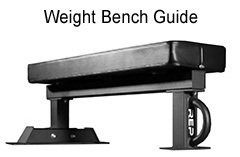 They have a lot of uses that don’t involve a barbell, and they take up less space than bumpers both on the bar and to store, but they can’t be dropped like bumpers – not from any appreciable distance anyway. 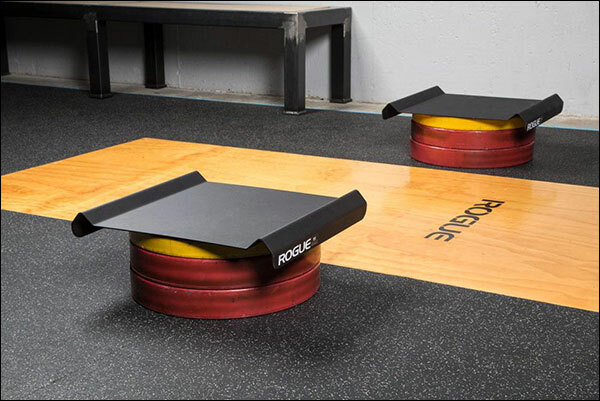 If you’re exclusively a big-3 lifter then these are worth considering over steel, but Oly lifters and CrossFitters should continue to invest in bumper plates. Hi-Temp has finally created a competition plate. 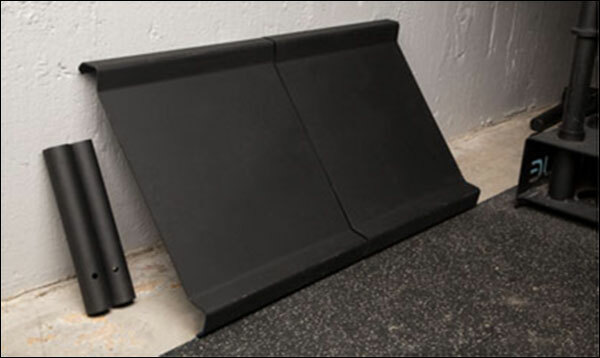 They took their vulcanized crumb rubber, changed up the recipe a little, and developed a thinner, smoother, large-hub variation of the classic Hi-Temp bumpers. It was just a matter of time, right? Most people reading this are probably already wondering how having a crumb rubber competition plate could possibly be ideal. I mean, above all else Hi-Temps are famous for their big bounce. They don’t dead blow like denser, virgin rubber plates – not at all. Well I have yet to see these in action, but the product description says that the mix used for these is different than standard Hi-Temps. I’m sure that’s true. You can tell that they are smoother, cleaner, narrower, and more refined than classic Hi-Temps. However, the Shore Durometer rating for the new HI-Temp Comps is still pretty low at only 80. To put that into perspective, classic Hi-Temps are rated at 75, basic virgin bumper plates hover around 87-89, and true comp discs are in the 90-94 range (lower values = high bounce). Based on this, I’m expecting some serious bounce from these new HTs. How about that pink, eh? A couple years back I found myself in the market for some pulling blocks, but because of how cost-prohibitive they were I opted to just build my own. I was able to put my blocks together very inexpensively and in less than a day, but sadly they are not adjustable. Had the Echo Pulling Blocks existed back then I would have skipped all that DIY business and bought these without a second thought. Echo Pulling Blocks sell for $150 a pair. 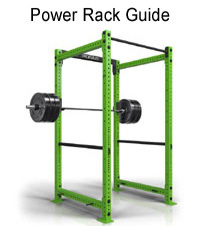 Compare that to adjustable metal pulling blocks ($700+), DC Blocks ($550+), or wood jerk block sections ($600+). Even if you are willing to make your own, $150 is in that range that makes you second guess committing $75 or more plus a full day of labor just to save the small difference in cost. Not only that, my DIY blocks may be great, but they take up a crap load of space 100% of the time – in use or not. Echo Blocks require almost no storage space when not in use. I give this product a 10/10. It serves its purpose beautifully, it’s very affordable, makes use of equipment that we already own, and it takes up almost no space. Brilliant! 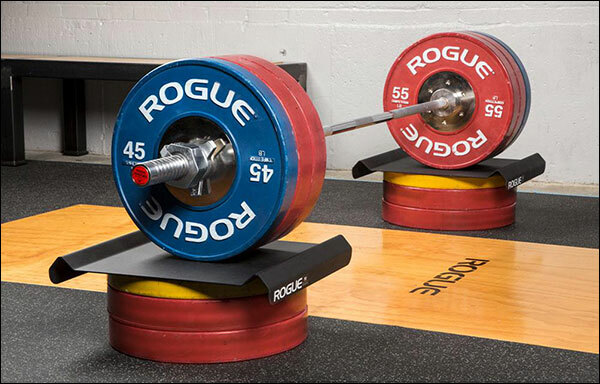 Some of your readers have tight budgets, iirc, so might not have the spare bumper plates given that pull weight goes up so much with partials — I may not either so possible additional expense there. I’ll have to add it up when I get to thinking blocks again. In the mean time, we could readily build like these Rogue ones but with wood — about 3-4 pieces of 3/4″ ply per side plus a short threaded pipe and the type of pipe fitting that lets you mount the end of a pipe to a surface (“flange”). When I first saw these on Rogues site, I thought “great idea!”. Then I thought about how annoying it would be to lug 10 plates around, get them stacked accordingly, in the right distance apart, and then put that top on. If I’m off by a few inches on either side, that’s a bunch more set up time since I can’t just kick adjust rubber bumpers on my rubber flooring. After those thoughts, I changed my mind on these. Nothing makes me skimp on using a product like excessive set up time. It’s a valid point – not being able to move them, but set up distance should not be a real problem. If you can’t eyeball it, all you have to do is set the bar on the ground in front of your block position. Still, I feel you when it comes to excessive set up time and no these are not ideal in that regard, but it’s still $150 versus a ton more. Plus, the no space requirements when not in use is a huge selling point. 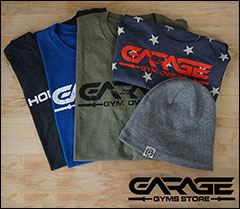 All other jerk/pulling blocks consume way too much real estate in a garage. DC Blocks store a little better, but my goodness are those expensive. Do you have any interest in the T-Grip bars at AB? 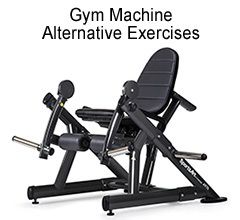 At first I thought they were overpriced, but now that I think about it, it seems like they could function as a curl bar and multi-grip bar that could also be used for overhead pressing and squatting. Suddenly the price seemed more reasonable. What are your thoughts? Yeah I don’t know – the decent ones are more expensive and less versatile than a Swiss or football bar. 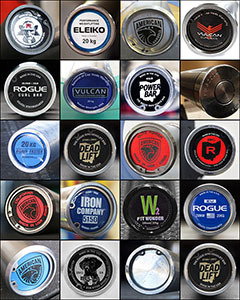 T-grips were really designed to be marketed to group fitness classes – and that kind of equipment always has high mark ups. I mean it would work, sure, but personally I’d rather have a good Swiss bar. Squats with it aren’t really a selling point because who doesn’t own a straight bar already when buying any specialty bar. Can already press Swiss bars. Maybe is a little easier.. I mean hey, it’s just another option – another implement. If it helps someone, then end of the day there is nothing wrong with it. I see your point about squats. Having never used a multi-grip (or curl bar) it seemed like you could get both combined in one bar with the t-grip, but it sounds like there are subtleties to the design that I’m probably missing. Jack of all trades master of none kind of thing? 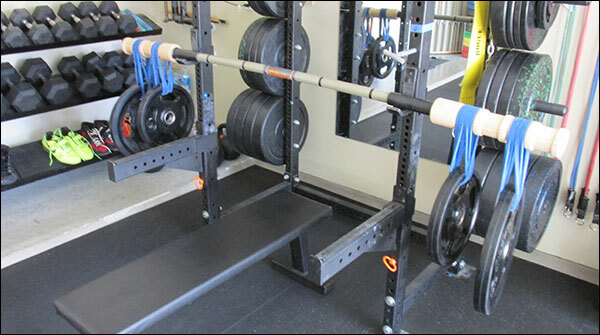 I have a football bar, and unless you LOVE curls and do them regularly, I see no need for a dedicated ez bar. And that’s with a basic football bar from Edge Fitness.